When all dreams come to nothing you have to look for new ones! 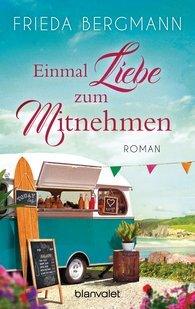 Lily is on the verge of achieving all her goals: her boyfriend Torsten has promised at last to leave his wife for her sake, and the next star for the head chef in a grand hotel in Munich is as good as hers. Then suddenly everything starts going wrong: the boyfriend has made off, the job is a thing of the past, her family disappointed.